It is a huge pleasure to meet Nick in person having followed him on Twitter for a number of years. Arriving at the Thomson Reuters offices at Canary Wharf (having crossed the Capital from my office in a Victorian nursing accommodation block in Paddington), I feel that I have not only crossed the city but crossed the centuries as I stand amongst the huge glass buildings. Nick is VP of talent and development for enterprise technology and operations, leading on the identification, development and engagement of the 15,000 technologists that work at Thomson Reuters across the globe from Beijing to Minneapolis. Nick’s team deliver learning programmes, engagement initiatives and talent development, working collaboratively with HR and technology leaders to deliver a consistent approach to deploying talent across the organisation. 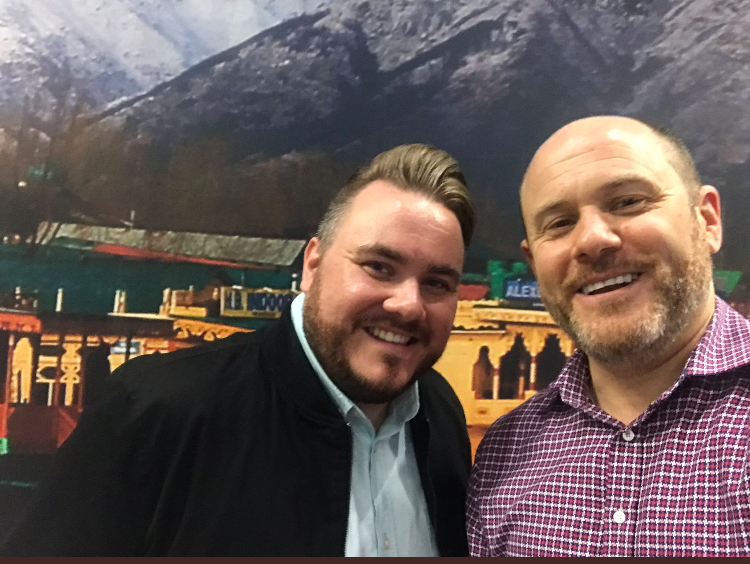 Despite his very busy diary, Nick has taken the time to meet with me for a conversation about his role in Engage For Success and his views on the importance of employee engagement in business. Nick- when did you first get involved in Engage For Success? I first got involved with Engage For Success when it started around 2011. Thomson Reuters was invited to participate and so I joined as the representative for the organisation. I have a huge interest in the topic of engagement and culture and creating environments where staff can succeed and are happy at work. Thomson Reuters funded the first Engage for Success website so I took the lead project managing the first website build. When the website was completed I spent a couple of years being involved as a member of the taskforce. Although I am not formally involved with Engage For Success anymore I am a huge advocate for the work the movement undertakes. So how do the four enablers play out in your organisation? The enablers are incredibly important and certainly present at Thomson Reuters. While not the cornerstones of our engagement strategy they have certainly informed our thinking about what we do and we refer to them in conversations about engagement in the organisation. The most important enabler for us has been ‘engaging managers’. Back in 2013 Thomson Reuters was in turnaround mode and one of the things we realised very quickly was that in order for us to be successful we needed really capable managers. We had no clear expectation of what we wanted our managers to do so in response we created a programme that we, rather creatively, called Management at Thomson Reuters that really focused on employee engagement. But rather than just tell people “this is employee engagement” delegates participated in a number of skills sessions such as feedback and difficult conversations that all centred around the idea that managers: focus, coach and stretch their teams. After we made that investment (at a time when the company was not doing well) we saw a significant increase in our engagement metrics and heard more conversations about engagement taking place across the organisation. Thinking about you, can you tell me about an engaging manager you had in your career? Yes! About 6 years ago when I joined the organisation I would say my manager at the time took a risk in hiring me. I made a big step change in my career and a more traditional manager may not have decided to hire me. Having a manager who really believed in me was really important. She had a genuine ability to empathise for people in her team. I remember a time when she wrote me a note following a family bereavement which she really didn’t need to do but she took the time to do it and I still have that card now. She made an incredible connection with people and the way in which she cared and had empathy was quite remarkable. She gave me responsibility and accountability for the work I needed to deliver but she was still there if I needed her. She role modelled the notion that leadership is about letting go; trusting your people to get on with the job they are here to do. As a manager, how has engaging with employees helped you in your career? I think the first thing is that knowing a lot about the topic of engagement I hold myself to high standard, so I am always conscious of what more I could do to be engaging as a manager. For me, there is a really key point about being clear as a manager about why we exist as a team and what we are aspiring to do. So I work hard to ensure that all team members can articulate the purpose of our work. The other key point is about development and I stretch the people in my team to deliver a great service and recruit people who are looking to be innovative and can help us grow the business. Finally, I try not to get in the way, which isn’t always easy, but important so that people feel ownership over what they are delivering. Ultimately it is about trust; for me as a manager being clear what we are here to do and enabling the team to make that happen. What initiatives have you delivered that had a positive impact on engagement? Something we did that was quite innovative and really impactful was a few years ago when we wanted to get a clear understanding of what was going on in the organisation and what people thought about who we were as a company. In order to this we undertook at network analysis to identify the key influencers in the organisation by asking our people who they connected with and how and why did they connect with them. So rather than take a top down approach to influence, we wanted to understand who the influencers were in the business, across the globe. We identified about 100 influencers and held conversations with them to really understand what is going on in the business and the quality of employee experience. They told us that people didn’t know each other very well and weren’t as involved as they could be in delivering change in the organisation. With that internal data, a number of the influencers created an internal ‘unconference’ that was delivered by technologists, for technologists rather than an HR intervention to help people network, develop and play an active role in growing our organisation. In each of the questions I have asked you, Trust has been a key theme. Would you say that Trust is one of the most important elements of engagement? Absolutely I think that trust and transparency are everything. The old story that “no one dies if something goes wrong” is true here (unlike for you Nate in the NHS) and so my view on that is if things are going wrong, be open and honest about it and come and talk to me so that we can solve it. Would you like to interview one of our Taskforce and join our Virtual Content Team? Email sian@engageforsuccess.org to find out more!